We did many demonstrations and the buzz that came out of Nationals was tremendous as over 3 dozen SIMONs were sold and shipped in the first 45 days. The feedback has been great with everyone singing the praises of how natural SIMON feeds the ball on all the pickleball shots. He feeds groundstrokes, dinks and overheads with ease. And does it all on a 6 hour Smart Battery, so forget the need to find an outlet. And with his 160 ball capacity, it seems like your workout will never end. 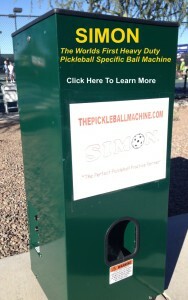 To order SIMON, simply go to www.ThePickleballMachine to get the introductory price and FREE shipping anywhere in the continental US. 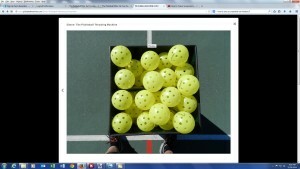 CLICK HERE TO SEE MORE SIMON Videos in Action and to Order SIMON.